There are as many ways to renovate and transform your home as there are styles of decorating it. By far one of the most popular, however, is the extension. An extension can add real living space, a brand-new room, improve the aesthetic appeal of the home, and much more. Here, we are going to look at some of the most common home extension projects, what they do for you, and why you might want to consider them. It takes a lot of thought to choose an extension. As you read, consider what your needs are as well as the specific purpose of any potential extension you might have in mind. Think about your budget fits in, as well as the timeframe you might like to see the project completed in. This article isn’t about convincing you to choose any one project over the other, just about helping you get informed and make the best decision for you. These extensions are some of the most common extension projects and they are built on the side or the back of a home. As the name suggests, they tend to be one storey in height, though if you build a single storey extension with a pitched roof, you may also gain some storage room above the ceiling thanks to their sloping nature. If you want to extend a kitchen to be more open plan or you want additional space, this is a reliable way of adding it. You just need to consider how much garden space you are going to have left after the extension, as well how much exposure to natural light and views of the outdoors the new room will have. If you have the space for a single storey extension and you want to make the best use of it possible, then double or multiple storey extensions offer just that. The concept is much the same as the single storey extension, just extended vertically. You can extend two rooms at once, or add two more entirely new rooms, depending on how many storeys the project is. It costs more to build a double storey extension, but not necessarily double the cost. After all, a significant portion of the costs is dedicated to adding new roofing and you’re not going to need double the roofing to complete the project. All extensions require planning permission and it should come as no surprise that getting permission for a multiple storey extension can be harder than getting it for a single storey option. If you want to increase the amount of available living space in the home but you don’t want too much construction work, then a conversion might be right for you. Converting a garage takes significantly less work than building an extension. How long it takes and how much it costs depends on how much work is needed. Your garage may already have some of the ventilation, weather-proofing, insulation, and fireproofing capabilities needed. Otherwise, they will need to be added. A garage extension allows you to add more space to an existing garage, too, but at an added cost. This can be done to add a workshop, more storage space, or increase the size of an eventual conversion. Most garages are already spacious enough for most rooms, so there are a lot of options when it comes to choosing what to do with a conversion. A loft conversion may be a little more limited than a garage conversion. Not all lofts have a lot of space, after all. If you do have the space required for the room you want, however, loft conversions are significantly less expensive than garage conversions. In fact, they may be the most cost-effective extension project available. They require very little structural work and are usually just as damp-proof as the rest of the home’s interior. Here, the costs are mostly about opening windows and sources of natural light, adding floors and drywall, and ensuring the loft is thoroughly ventilated. 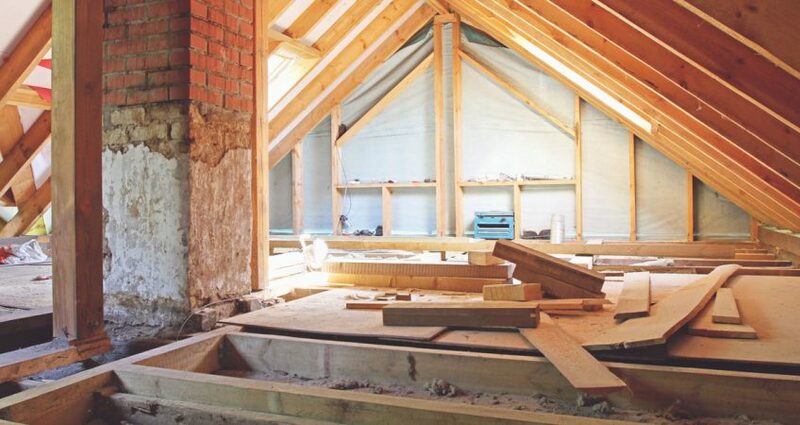 What’s more, compared to extensions, you very rarely need planning permission to convert a loft. Basement conversions may not require a lot of structural work, but they can be more demanding than other conversions in other ways. Basement projects are expensive and take longer than the average conversion. What’s more, if the basement has a pump and drainage system hosted in it, it will need to be checked annually. However, when it comes to adding space to the home, few sites offer more of it than the basement. You don’t have to increase your footprint, but you can often build new rooms that have an area equal or close to the area of the entire ground floor. On sites where the water table is high, they are not an option, either, so check with your contractor before committing. Outbuildings, depending on how they are built, can be some of the costliest additions to build to the home. You are essentially constructing an entirely new building. However, if you have the space and budget for them, they are some of the most versatile projects. Provided you have planning permission, they can be built for any purpose. Orangeries and conservatories are a little more limited in that they tend to be smaller extensions built to the side of the home. However, these smaller projects have a unique aesthetic appeal that can add a great deal of value to the home while extending a room of the home or creating a perfect space for indoor gardening. Hopefully, the examples above give you a clearer idea of how, exactly, you want to extend the home. There are some that make use the space you already have, while others add entirely new square footage to the home. Some are low-budget and quick installations, while others take longer and more money. Whatever you choose, you need a professional team of local builders in Dartford, Kent at your side. Get in touch with Absolute Building Contractors at 01322 784 014 (CLICK TO CALL) if you have any ideas or check the site and the blog for more inspiration.